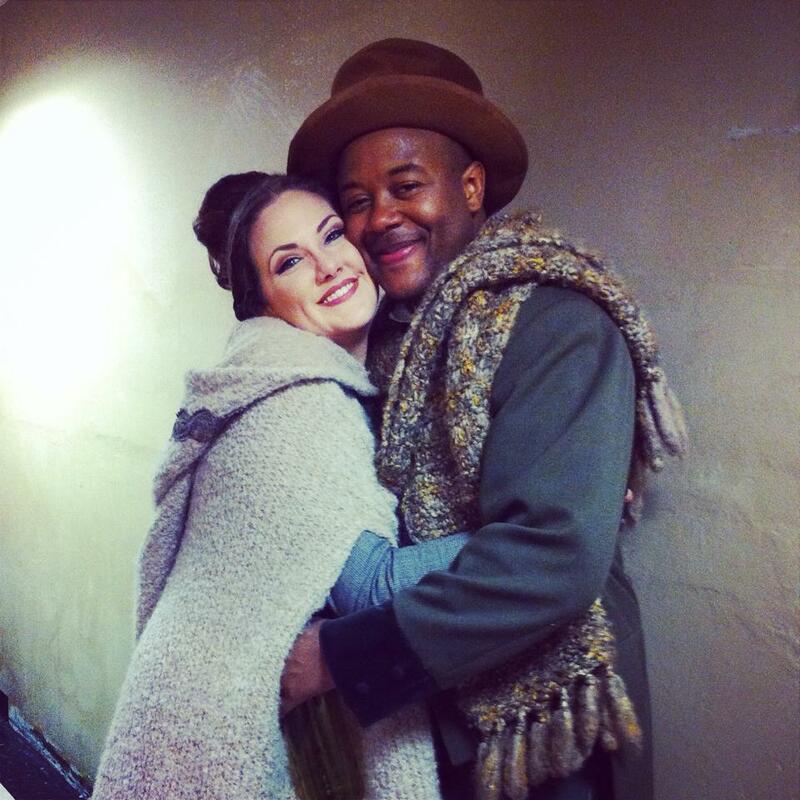 Jorell Williams is a baritone based in New York City, back home after a busy summer with Santa Fe Opera’s Apprentice Program, singing in productions of La fille du régiment, Rigoletto and the world premiere of Jennifer Higdon’s Cold Mountain. I first met Jorell in rainy St. John’s, NL, while he was singing Schaunard in La bohème. We had a summer of great conversations about the realities of the opera industry, and so he has been on my must-interview list ever since. We spoke over Skype about some big topics, like being an African-American baritone in the United States, the decline of the operatic superstar, and helping people “go somewhere that’s not reality” with his singing. You can hear Jorell Williams sing Haydn’s Creation with the Geneseo Symphony Orchestra on November 22nd (free admission, 3pm, Wadsworth Auditorium, Geneseo, NY), at Handel’s Messiah with the Branford Chorale on December 20th (5:30pm, First Congregational Church, Branford, CT). 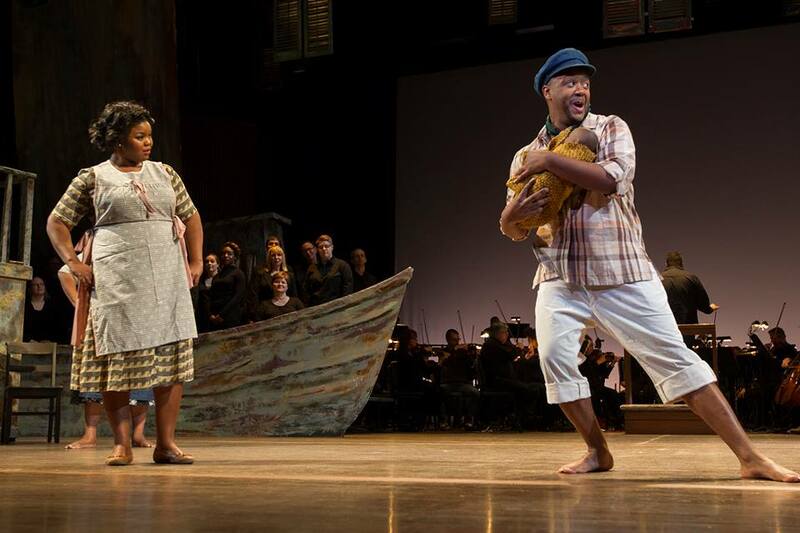 From Syracuse Opera’s 2014 production of Porgy and Bess. Williams in Santa Fe Opera’s 2015 production of Les pêcheurs de perles. Photo by Kate Russell. For Williams, getting competitive doesn’t solve much. “All we have are each other in this business. It’s similar to being a lawyer, doctor, or a school teacher. These are a few examples of professions (not meant to diminish the importance of others) that compare to performance practice. Many years in school, the equivalent to a residency (Young Artist Program) and endless hours of scrutiny and judgement. Very few are going to understand what we have to go through 24⁄7 because this is a 24⁄7 job, for the rest of our lives. Vacation? What’s that?” It can be all-consuming, and it can make it hard for young artists to see clearly what they’re striving for. “Every day is a step forward in understanding balance,” echoes Williams. 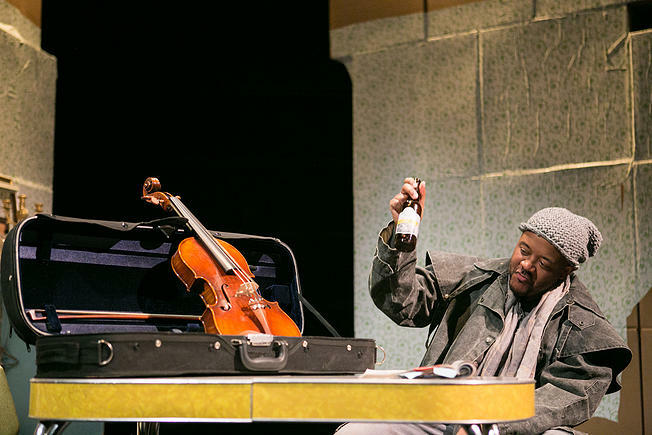 Williams in Urban Arias’ 2015 world premiere of Blue Viola, by Peter Hilliard and Matt Boresi. Williams after a performance of La bohème (Schaunard) at Opera on the Avalon, 2014. Want more from Jorell? Follow him on Twitter, at @JojoNoire.